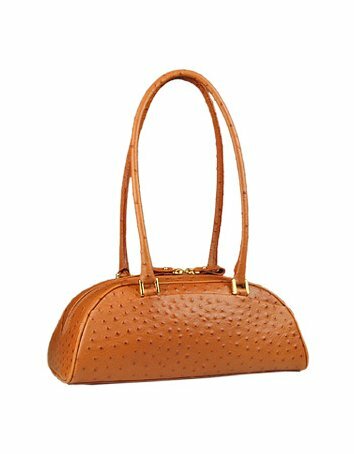 A high quality design from Fontanelli, this handbag in the finest ostrich-embossed leather makes a smart choice for work or play featuring a zippered compartment and comfortable, slightly longer shoulder straps. Dust bag included, available in black too. Made in Italy. Starting as a boot-maker in 1969, Renzo Fontanelli quickly evolved into creating classic women’s footwear. In the early 1990’s Mr. Fontanelli decided to launch his own line bearing his name. He incorporated as many widths as possible which today covers 4A-C. Located between Pisa and Florence, Italy, the factory produces roughly 1,200 pairs of shoes per day. Today Mr. Fontanelli’s sons, Fabio and Andrea, join him in the family business.